Happy new year everybody as I start off this year's first entry. This entry is overdue as a result of Adrian needing to settle some personal family matter. In any case, thank you once again to the RFF supporters who have contributed generously. Trust all of you had a blessed Christmas and a great New Year break. 2015 was a fruitful and eventful year for the Run For Funds movement (RFF). Our P6 Maximise Your Potential (MYP) winners did very well in their PSLEs. We raised $17,375 to help Nepal earthquake victims rebuild their homes. Superfriend Jaywalk raised $5,799 from his Dec 2015 StanChart marathon run. We are very proud of the achievements of our P6s. They worked hard and reaped the rewards of their efforts. Average score of the 6 students was 221, with the top 3 averaging 247 and top score of 255! They have been posted to schools of their choice (some closer to their homes): Cedar Girls'' Secondary School, Victoria School, Punggol Secondary School, Geylang Methodist Secondary School, Beatty Secondary School, Anglican High School. May God continue to watch over them and bless them with good health and wisdom as their embark on their new adventure in their secondary schools. MYP 2016 MYP ceremony will be held in March/April'16 - watch this space. A total of $17,375 was raised in July 2015 for the victims of the Nepal earthquake. Thank you so much for your generous contributions. To date, $13,600 has been deployed to rebuild homes. (see July 2015 email update or repost by Superfriend Jaywalk http://www.jaywalkonline.com/2015/07/runforfunds-for-nepal-update-july-2015.html). The rebuilding efforts were fraught with difficulties e.g. landslides, petrol shortage (due to border blockage), monsoons, a very cold winter etc. I'm thankful that my contact, Nepali school principal Bharat, was faithful and resilient in his service to his people. I'm now waiting for Bharat to activate us for the next phase of the rebuilding efforts. 3. Superfriend Jaywalk Runs For Funds!. Jaywalk, has been a strong supporter of RFF since its inception. He's RFF's defacto comms/IT manager because I'm an IT dumb-dumb. Early in 2015, Jaywalk wanted to raise funds for RFF and a determined year-long effort to train for his StanChart half marathon in Dec 2015. I'm so proud of my kaki for finishing his run and grateful to him and his supporters for raising $5,799 for RFF. This contribution will be put to good use. Funds available in RFF's dedicated account, as of 31st Dec 2015: S$42,546.89. I expect to contribute $21,000 to GMSP this year to continue the MYP for the next 3 years. The remainder of funds will be set aside for prudent, accountable use to aid those in need. 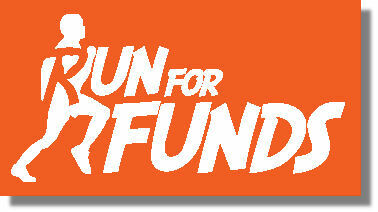 Again, thank for your continued support for Run For Funds. God bless you and your loved ones with love, peace and joy for 2016. Nice blog and Patanjali yogpeeth Nepal is providing help for those victims which are need help and other living things.